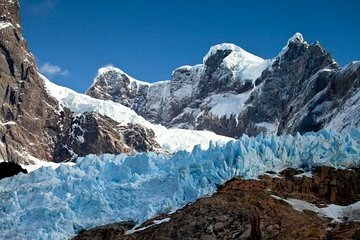 Part of the Bernardo O'Higgins National Park, the two glaciers of Balmaceda and Serrano are only accessible by boat. Ensure you don't miss them by joining this boat tour that takes you through Last Hope Sound and to the best viewpoints for seeing the glaciers. You'll also see flora and fauna, such as cormorants and sea lions.